B & H Engineering, P.C. 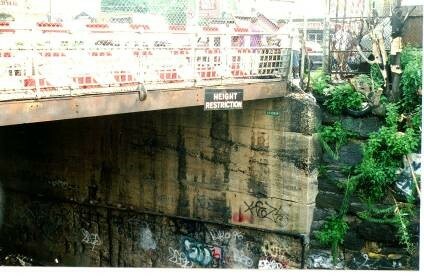 has furnished construction inspection services, as a prime consultant, to the New York City Department of Transportation for the Rehabilitation of 4th Avenue bridge over New York City Transit Authority at 38th Street in Brooklyn, New York. The superstructure consists of steel stringers, two concrete sidewalks, concrete deck carrying 4th Avenue, and a concrete raised island between north and southbound 4th Avenue traffic. This bridge crosses two New York City Transit Authority freight tracks servicing the Sunset Park Industrial Park. The construction inspection services consisted of providing field inspections; monitoring work zone traffic control and safety; coordination with NYCDOT agencies, other contractors, and utility companies; reviewing contractor's schedule, equipment, and staffing; monitoring contractor's EEO requirements; conducting wage rate interviews; processing payments and change orders; and maintaining office records. The project included demolition and removal of concert deck and steel structure, repairs to abutments, reconstruction of abutment bridge seats and roadway approaches, new structural steel, concrete overlay, deck, parapets, and sidewalks; modifications to existing drainage structures; new lighting, signals, and sign structures; installation of new water and gas mains; telephone and power conduit banks on the bridge; and staged construction.